We used to spend our weekends out west seeking the finest hole-in-the-wall restaurants. 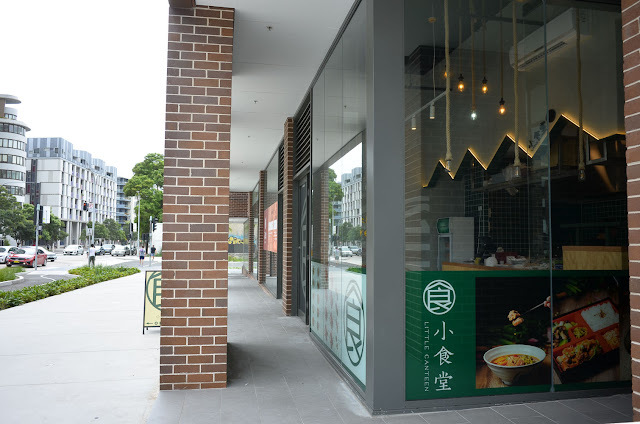 But now, fortunately for us, there's been a population explosion around Waterloo/Mascot/Zetland that has brought golden b-kyu goodness within walking distance of our inner west bubble. 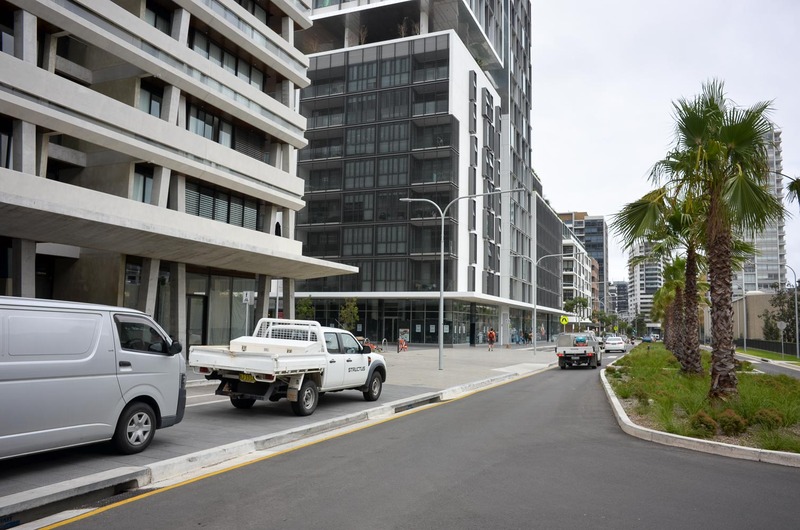 Of particular interest to us is the newly developed\under-construction area on and around Gadigal Ave between Zetland and Waterloo shopping areas. 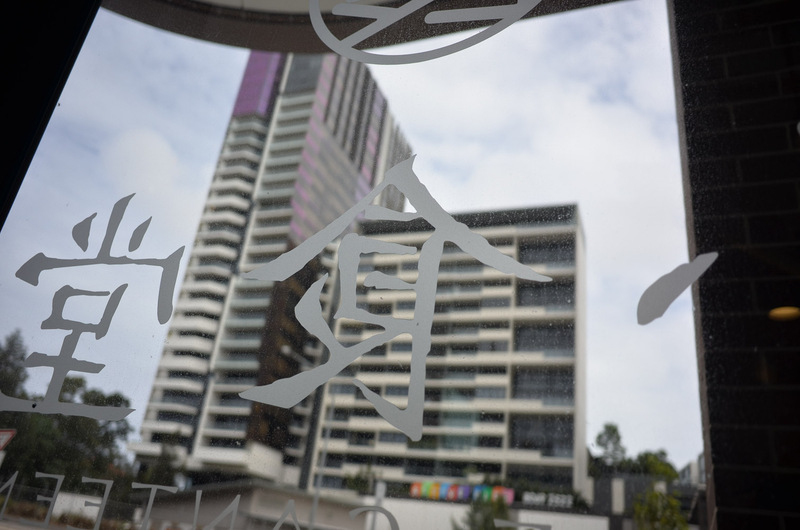 A bunch of seriously good looking Chinese restos are open or near-open on and around this very walkable part of Sydney. We are most excited. We pick Little Canteen at Random, it's a true hole in the wall with just a few bench seats by the window with a romantic view of busy O'Dea Street. 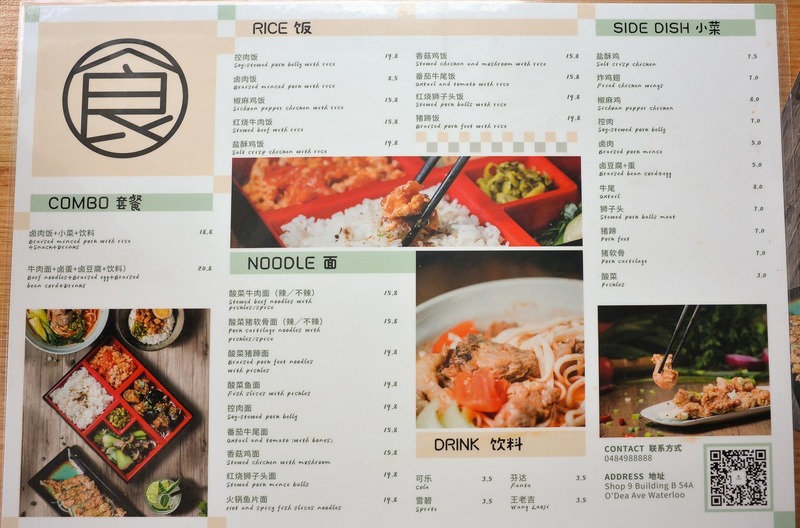 The menu is small with a couple dozen rice, noodle and side dishes. 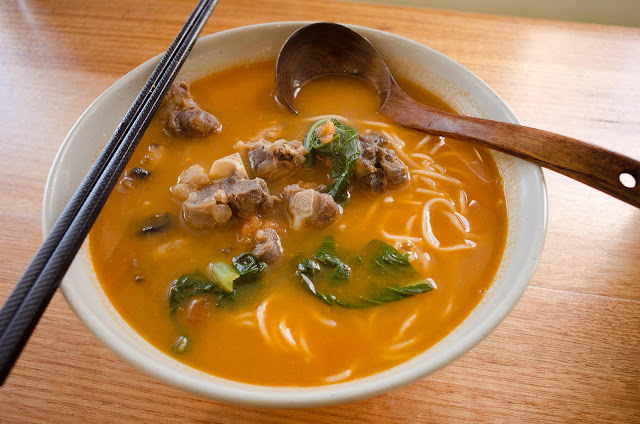 Pork cartilage noodles with pickles/spices - $15.80. Oh the chumpy chewy textural marvel of soft bone pork ribs. These were cut in long strips so they were easy to eat with plenty of soft meat and small bits of soft bone. The pickles used were a darker, more fermented type and worked well in their supporting role to cut the fat of the meat. Noodles were a just soft wheat style that mysteriously held a lot of heat, staying almost too-hot-to-slurp all the way through the soup. Sichuan pepper chicken with rice - $15.80. The chicken is crumbed and fried to a crunch and tastes like salt'n'pepper of salt'n'pepper squid fame, with the added zing of Sichuan pepper and a slosh of sweet tomato sauce. Oooya. 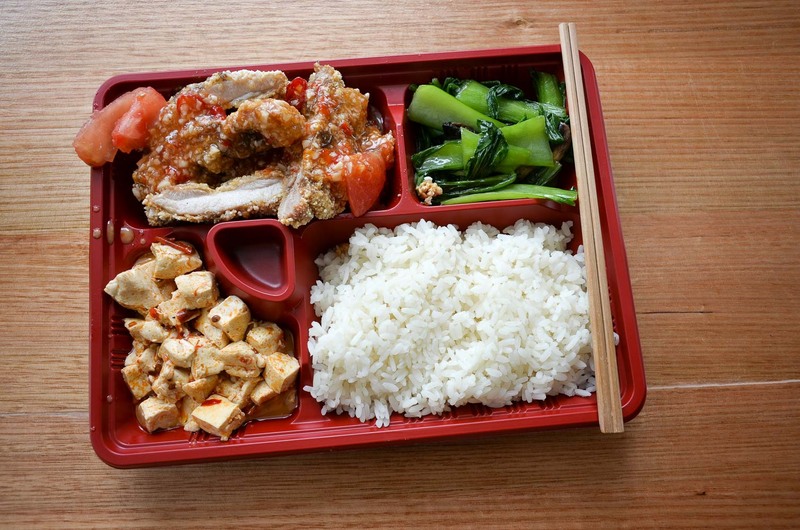 It is served bento style with greens and a spoonful of mapo-ish tofu. Oxtail and tomato noodle soup - $15.80. 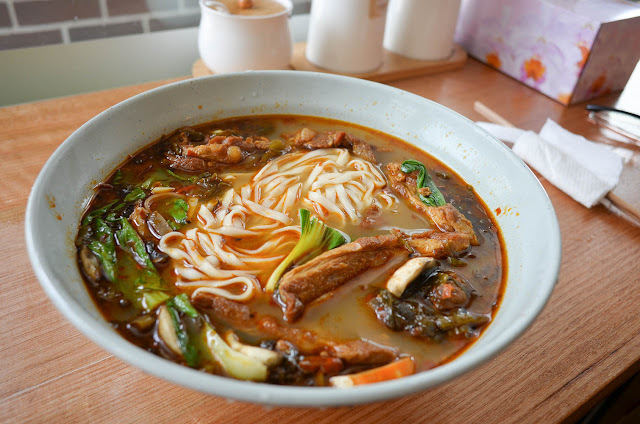 The soup is similar to Western Tomato soup in flavour, sweet and gentle, it grows on you throughout the bowl. The oxtail is a ripper for texture fiends, it's gristly and a joy to slowly gnaw off the bones as the world floats gently by out the window. Little Canteen is at Shop 9 Building B 54 O'Dea Avenue, Waterloo, across the road from the East Village Shopping Centre. 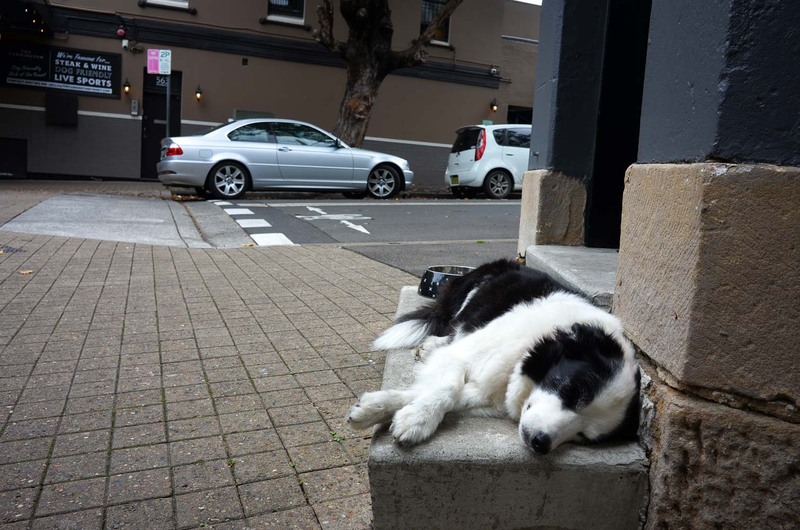 This post brought to you by Harry Dean Stanton, our name for the sleeping dog outside of Paris Texas in Surry Hills.